Stanford University offers a range of free online video courses on various topics taught by Stanford faculty. 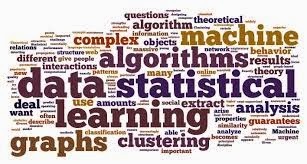 In statistics and data analysis category, there is an interesting course offered online on machine learning taught by Andrew Ng. Best practices in machine learning (bias/variance theory; innovation process in machine learning and AI). 9 Responses to "Free Online Analytics Video Course"
it showed up the issue of ceaseless instruction for everybody,here an article including the dropout and the common laborers have been illuminated. On the off chance that you have been accustomed to having your own particular manner,http://newbooksinlatinostudies.com/ that will be tested once you re-enter school. Your site is very helpful to me.